A mainstream visit of Tehran consists of a compilation of conventional public spaces ranging from palaces, public museums and parks. These standard sites display the remnants of regimes past, modern art filtered and spaces without critical contextualization. See You in Iran’s “My Share of Urban Spaces” reoriented a traveler’s experiences in the capital. It highlighted the socio-cultural nuances of Tehran’s public spaces, specifically in the center of the capital. 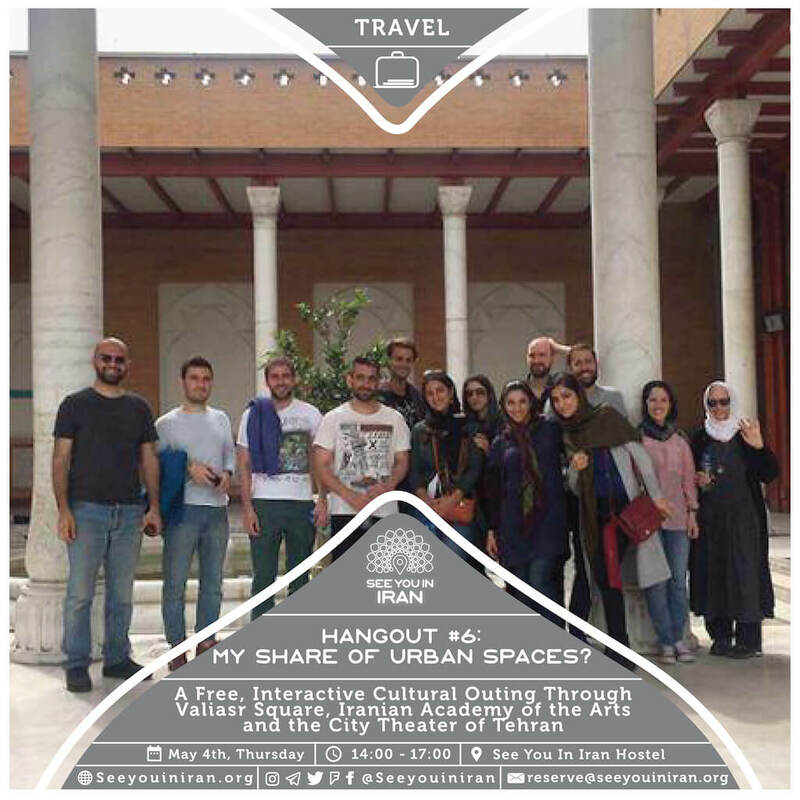 During this sixth “hangout” Iranian and foreign participants contributed to the developing of a tourist-friendly cultural environment in Tehran by celebrating person to person connections between locals and travelers. Furthermore, collectively they contributed to the celebrating of otherwise disregarded parts Tehran’s public spaces by visiting Valiasr Square, the Iranian Academy of the Arts and the City Theater of Tehran and discussing the recreational inclusivity of these places and their relationship with the city municipality.